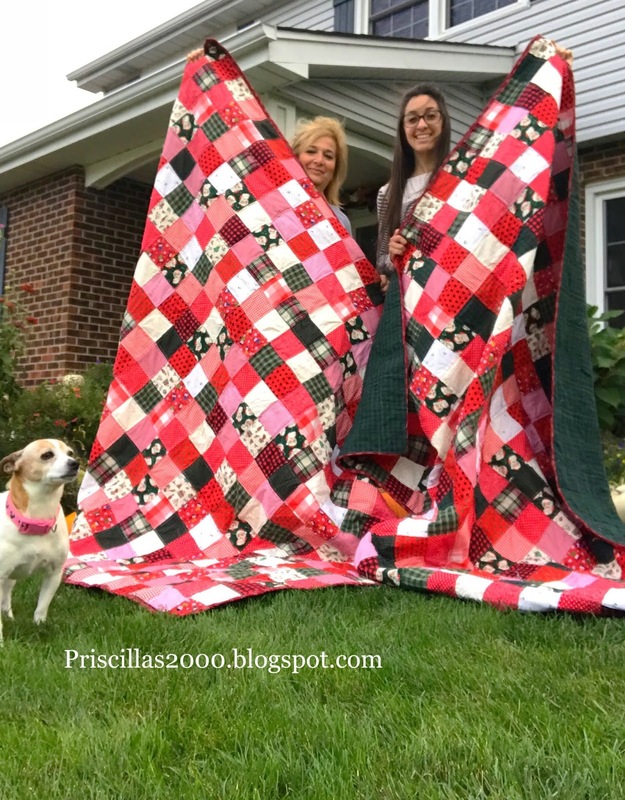 Priscillas: We Made Christmas Quilts! Here they are! 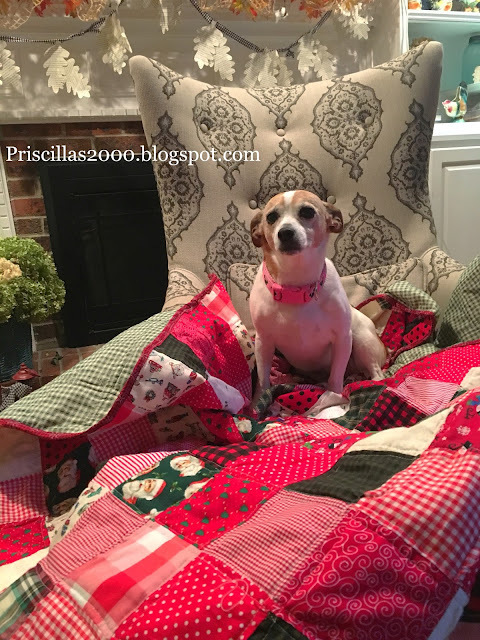 Our Christmas quilts! 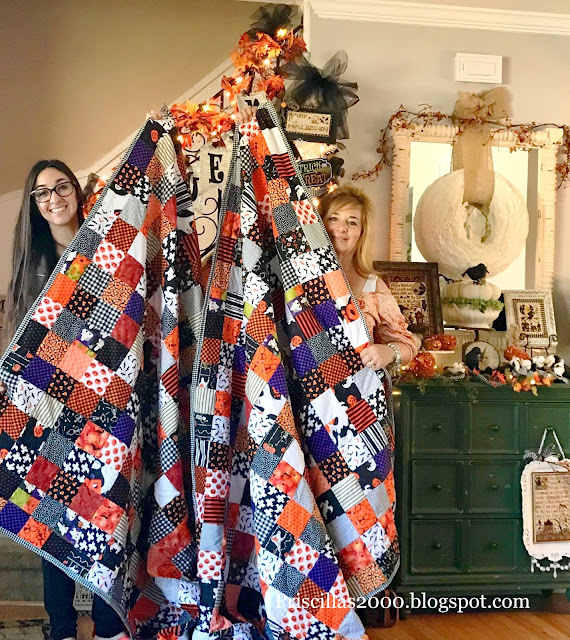 Remember our Halloween Quilts from earlier this month? These were made the same way 4 inch squares sewed in a 4 patch then sewed in strips..and then the strips sewed together.. I had quite a few Christmas fabrics in my craft room but we added some buffalo checks, plaid, and red and black polka dots....They are twin sized.. The queen has already claimed her spot..Thanks so much for stopping by! Pretty Christmas quilts! They make me think of candy canes. 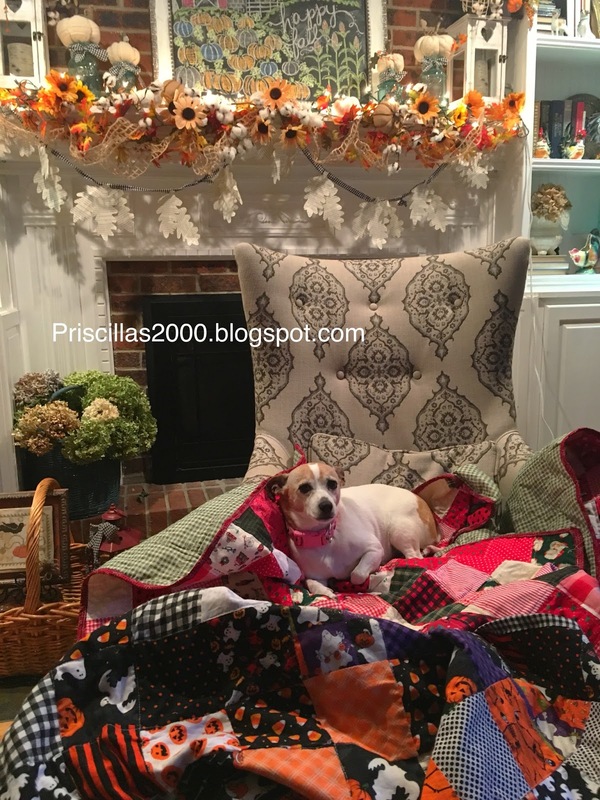 Love the Quilts..You Girls are on a Roll..And bless little Ronnie she always has to have her face in the picture..She makes me laugh.. reminds me of my little Merriweather she was a mini dachshund and she was spoiled and always had her face in all the pictures Too !!! Your quilts are very pretty and you did a wonderful job on them. I have two Christmas quilts that I made about 15 years ago. They still look great. The queen is so cute and looks very comfortable! Also, lovely quilts!! How lovely that you and your daughter are sewing quilts together. First Halloween and now Christmas - you must be very pleased with the results.